As rental housing prices continue to escalate nationwide, particularly in urban centers, low-income people with disabilities are finding it increasingly difficult to find affordable housing. The Technical Assistance Collaborative and the Consortium for Citizens with Disabilities recently released their 10th annual “Price Out” report, documenting the impacts of housing prices on recipients of Supplemental Security Income, the federal government’s primary income assistance program for low-income people with disabilities. 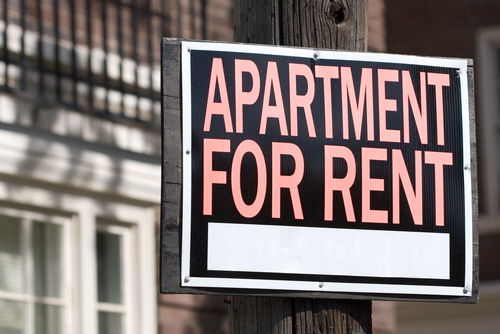 According to the report, the average national monthly rent for a modest one-bedroom apartment in 2016 was $861. This figure represents 113 percent of the maximum federal monthly SSI payment, which stood at $733 that year and 2017, although it rose to $750 in 2018. In some states, this percentage was dramatically higher, such as in Hawaii (188 percent), Maryland (167 percent), New Jersey (151 percent) and New York (145 percent). For studio apartments, the average monthly rent was $752, or 99 percent of an SSI recipients’ average monthly income. When calculating rents for Section 8 subsidies, the Department of Housing and Urban Development (HUD) considers families to be cost overburdened when they are spending more than 30 percent of their monthly incomes toward rent. “This finding confirms that in 2016 it was virtually impossible for a single adult receiving SSI to obtain decent and safe housing in their community without some type of rental assistance,” the report states. The report provides an extensive list of recommendations for increasing the availability of affordable housing units for SSI recipients, as well as reducing the burdens of high prices. In particular, it calls for expansions of the Section 8 subsidy program, the Section 811 Project Assistance program, and the National Housing Trust Fund. Furthermore, the report calls for more federal homeless prevention relief efforts, particularly after natural disasters, increased Fair Housing Act enforcement and more diversionary programs for incarcerated individuals, among other recommendations. “This housing affordability crisis deprives hundreds of thousands of people with disabilities of a basic human need: a place of their own to call home,” the report states. “Because of the disparity between SSI income and rental housing costs, non-elderly adults with significant disabilities in our nation are often forced into homelessness or segregated, restrictive, and costly institutional settings such as psychiatric hospitals, adult care homes, nursing homes, or jails.